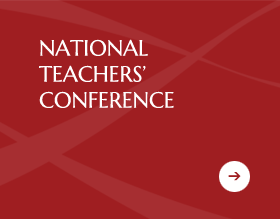 Steiner Education Australia is the not for profit national association/peak body representing over 40 Steiner/Waldorf schools and 10 Associate members throughout the states and territories of Australia. Each organisation is independent, but through working together we provide a national voice to promote and support Steiner education in Australia. The Steiner Waldorf school movement is a highly respected international educational movement with over 1050 schools in 60 countries. (See world wide list) There are also nearly 2000 Steiner Waldorf kindergartens, home programs, child care centres and pre schools in more than 60 countries world wide. Steiner education is future-orientated and the holistic style underpinning this unique pedagogy supports the healthy well-being of children around the world. Steiner education provides enjoyable and relevant learning through deep engagement and creative endeavour, to develop ethical, capable individuals who can contribute to society with initiative and purpose. 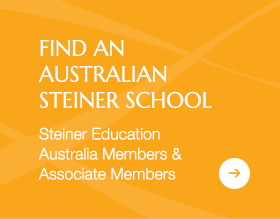 To uphold the philosophy and pedagogy of Steiner education, Steiner Education Australia has developed the Australian Steiner Curriculum Framework, as part of a national process with member schools and has been successful in gaining recognition as an alternate curriculum framework to the Australian Curriculum through a rigorous process with ACARA (Australian Curriculum, Assessment and Reporting Authority). Each school is registered with their state/territory regulatory authority. To find the school nearest you, see the Members link. Steiner Education Australia supports, advocates, promotes and represents the free and healthy development of Steiner education in contemporary, diverse contexts. respect for the spiritual nature of the human being and the developmental stages of children and young people. creative and contemporary expressions of Dr Rudolf Steiner’s work. 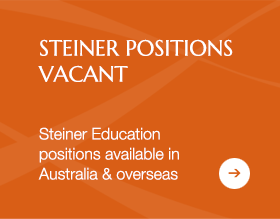 To advocate for Steiner education in Australia. Steiner Education Australia has a Memorandum of Understanding with the Federation of Rudolf Steiner Waldorf Schools in New Zealand, as well as honorary membership with the European Council for Steiner Waldorf Education. If you are interested in the global Steiner/Waldorf school movement, please go to our links page, where we have provided contact information about Steiner/Waldorf education in the UK, Europe, North America and New Zealand. Steiner Education Australia is a not-for-profit company limited by guarantee (ACN 617 276 098), an Australian Registered body with the Australian Securities Commission – ABN 082 942 541.